What is the Sigma Force series about? Should we read the Sigma Force Series in order? James Rollins is the author of the popular Sigma Series (also known as Sigma Force series), a spellbinding set of novels that has become a dear favorite from the very first book published back in 2004. 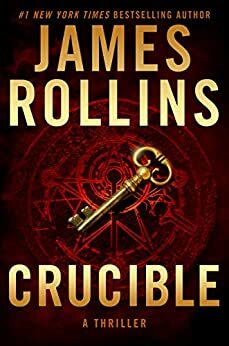 However, reading the James Rollins Sigma Series is not enough if you want to read everything this author has ever written. Here are all the James Rollins books in order for his popular adventure series including Sigma Force Series, The Order of the Sanguines, Jake Ransom, and Tucker Wayne, along with his standalone adventure novels listed in publication and chronological order. The Sigma Force features an elite covert group belonging to the US Defense Department (DARPA, which is a real US organization called Defense Advanced Research Projects Agency). The group is made of former Special Forces officers that are highly trained with exceptional skills in their various areas of expertise – almost all involving different aspects of science. Now combine a skilled scientist with a highly trained operative in the same person, add a bunch of these people to a team, and you get what we call the Sigma Force, a team of “killer scientists” on a mission to save the world. These guys are “scientists with guns” as the author calls them for good reason. Each novel in the series, starting with Sandstorm, focuses on a particular madman who wants to destroy the world in his own special way, and on the team who manages to keep the evil villain from bringing his destructive deeds to completion, which invariably leads to the world being saved once again. Painter Crowe is the mastermind behind the team, soon to becomes its leader, who decides which mission they will tackle next. The very first novel, Sandstorm, is in fact all about Crowe, so we get to see the real genius in action as well. The way I came across this author was when a friend recommended that I read Subterranean (published in 1999, it was the first of the James Rollins books published). I’ve read it, loved it and got hooked on the story, plot, characters and the awesome writing style. And of course, got enchanted by the author, James Rollins (real name Jim Czajkowski), as well. You know how it is when a book grabs you from the very first pages. This is what happened to me with the author and his books. Then I began reading the James Rollins Sigma Series from the first book and the rest is history. I think the only other author that had the same effect on me was the duo Douglas Preston & Lincoln Child with their museum mysteries, involving the aloof and charming Special Agent Aloysius Pendergast. I generally classify the books as scientific thrillers or adventure thrillers. I’m always looking to blend a bit of historical mystery and a bit of scientific speculation, and setting up a large adventure story to wrap all around it. Currently, the James Rollins Sigma Force series includes 17 books (with the last one called The Demon Crown, published December 2017) with 13 full-length novels and 4 short stories only available on Kindle for like 99 cents or so. A new book is published end of 2018 with the tentative title of The Hammer of Witches. I include them here because they do belong to the Sigma Force series and they are a major part of the narrative, especially if you like to follow the stories in order. The James Rollins books reviewed on this site so far are The Eye of God, Tracker, The 6th Extinction, The Bone Labyrinth, The Seventh Plague, Ghost Ship, and Innocent Blood. Oh yes, definitely we should read them in order! In fact, we should read all the James Rollins books in order, because every single series is well worth it. 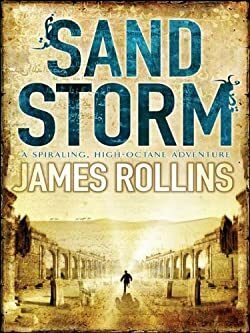 I thankfully got introduced to James Rollins before engaging with the Sigma Force series, so I could start reading the books from the very first one right away (I hate it when I read a book just to realize that I’m somewhere in the middle of a series, and then I have to go back and catch up with the rest). I root for all the characters in the Sigma team and it is interesting to follow how their relationships develop over time, from book to book. For example, Seichan is a very intriguing character, a famous and feared assassin who leaves the Guild and joins the Sigma force – and causes some major ripples in the process as well. Of course, I want to see how she gains their trust, how she loses it again, only to gain it again…or maybe not? While each mission starts and ends with a book, the characters’ lives stories are continued from book to book. There is just something about the Sigma Force series that makes you follow it like a TV series showing the adventures of a very turbulent family – but one that manages to save the world in every single episode – and one that takes us to far away places that we’d never discover on our own, and probably would never go to for real in the first place – hence were forced to live vicariously through their own eyes. Each book offers an electrifying adventure, thrilling and chilling action and wonderful and heroic characters that you can’t but love. At least I do, with all my heart. James Rollins is a master storyteller. The Sigma Force series is rich with complex characters and thrilling action plots, and we can’t wait to turn this treasure trove of amazing stories into a great film franchise. I can’t wait to see it when it’s finally turned into a blockbuster movie. James Rollins was born as James Paul Czajkowski in 1961 in Chicago. We went to school to the Parkway South Junior High School and then graduated from Parkway West Senior High School in 1979. He enrolled at the University of Missouri, Columbia, from where he graduated in 1985 with a doctorate in veterinary medicine. Not long after, he moved to Sacramento in California, starting his own veterinary practice. Before starting to write under the name James Rollins, he sold his first book, Witch Fire, in 1999 under the name James Clemens. The book was a fantasy novel. It started a series called The Banned and the Banished which included a total of five books. He also wrote an additional fantasy series under the same alias, with the title Godslayer, which also includes five books. Next, the author James Rollins began writing standalone adventure novels, with the first one Subterranean, also published in 1999, followed by Excavation, Amazonia, and Ice Hunt. However, the biggest impact in the adventure fiction world he made with his Sigma Force series, which the author first released in 2004. Does Monk live again after “the Judas strain” and if so which book. This was an excellent series! It has left me hoping he writes more with the Sigma Force characters! Each novel a masterpiece in its own but a great series when all are combined! Thank you James Rollins! LOVED the historical approach and learning what was fact at the end of eac novel as well! Could feel and appreciate theresesrch and time involved developing every story line! Congratulations on an exemplary series!!! I don’t think there will be a movie. Dino De Laurentiis passed away in 2010. I love this series! He’s an excellent author who captivates you, at warp speed i might add, with each turn of the page. I started Sandstorm a month ago and now on the (6th) novel The Doomsday Key. I can’t wait to go get his stand alones and also download the short story exclusives. Of course i must finish the Sigma series as well. I’ll be sad when i’m done but i’m happy i finally found an author i can truly relate to, as far as my personal interests. That sounds like a good one! I really enjoy a good series. Sometimes when it’s just one book I’m left feeling like I wanted more! What great book/series review! I love how you laid it out. Might just have to head to the library today to get started.